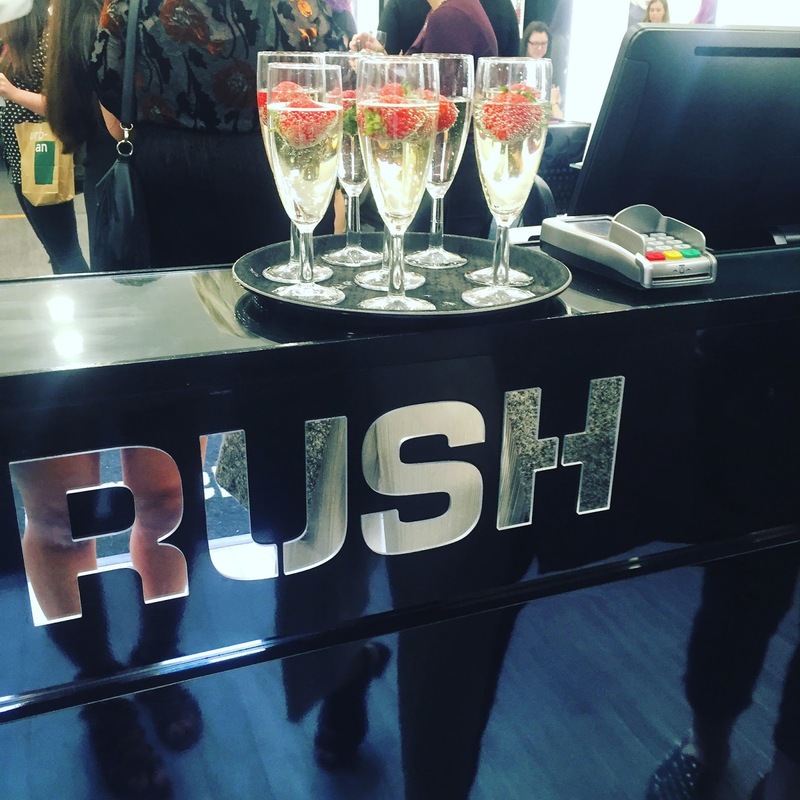 Upon walking into the gorgeous new salon we were greeted with champagne, (always a great way to start in my book) and got chatting to the Rush team, who were really friendly and passionate about the brand. The lovely Rosie gave me some gorgeous spiral curls whilst Shane talked to me about the range of GHD products they use - and made me seriously consider buying some new ones I might add. Who wouldn't wanna get their hair washed here? 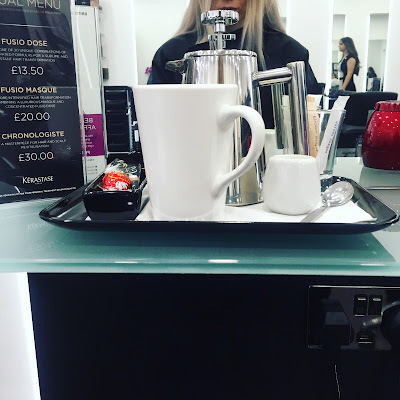 My appointment the following week with the silver fox that is Yiannis was more like a pamper session, I felt so glam and luxurious by the end of it. He bleached my whole head to a mid-light blonde, cause he knew I wanted it light enough so I can play around with a few colours at home, (#mermaidhairdreaming) and he put a steel grey toner over the top so I could rock those granny vibes for a couple of weeks! I need to investigate the brand of toner they use at Rush cause that stuff ended up being SERIOUSLY long lasting! I left the salon with a gorgeous new cut and super soft hair (thanks to the most divine Mythic Oil from Kérastase), and had a lovely experience all around! 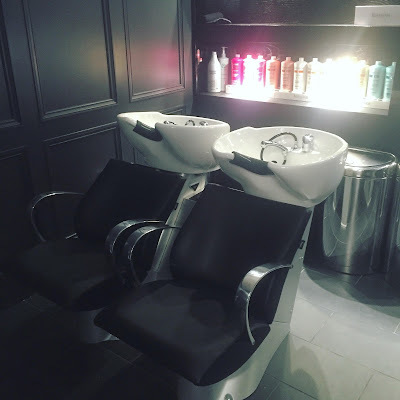 So if you're looking for a new place to get a hair cut, style or colour, definitely check out Rush, you'll be in safe hands with any member of the team and from start to finish, you'll be treated like a princess, I can assure you. Which brings me onto the latter part of this blog post and as you may have guessed from the title, you clever thing you, it's a review of the 'Pixie Lott Paint' Wash Out Hair Colour in the shade Violet. 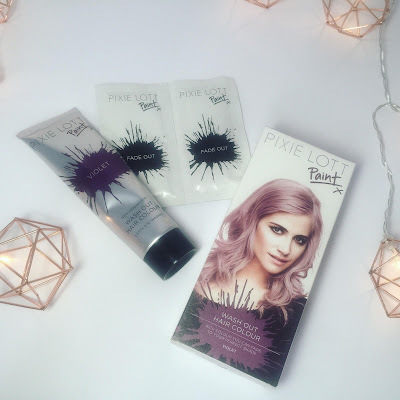 I randomly decided to pick this up a week or so ago because Superdrug was out of my trusty Jerome Russell silver toner; (Read my post on maintaining silver hair for more on that!) and rather than walking a very short distance to Boots, I decided to be lazy and try another brand of dye. How cute are these copper fairy-lights from Primarni? The box comes with a tube of violet hair dye, two "Fade Out" sachets (that I absolutely did not need) and a pair of plastic gloves. The dye is of a thick putty-like consistency, making application really easy and mess free and OHMYGOD the smell! It smelt of blue Tango Ice Blasts - AKA heavenly. Squeezing the product out of the tube it was an icky brown colour, which didn't fill me with confidence, but my dad reassured me it would change when it came into contact with my hair, cause he used to dye his hair all the time in the 80's don't ya know. Thankfully dad was right, and with a little help doing a few strands at the back of my head, my semi-wet hair was a deep magenta colour. The instructions advised leaving the product on the hair for 15 minutes. 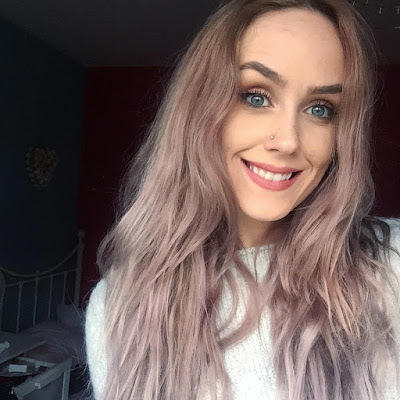 I completely ignored this and left it on for about an hour as I'm aware my hair is more of a light blonde than platinum, and I really wanted the colour to stick. The final result was a subtle but pretty minky-violet shade. I've had lots of compliments on it but as much as I love the look, I was hoping for a more vibrant colour. After one wash (3-4 days depending on how lazy I'm feeling) I'm left with a soft, slightly peachy blonde, with tinges of pink in natural light. Verdict: For £5 it's not a bad price, and a relatively fuss free process if you wanted to change up your hair for an event or festival, but if you're looking for something more long-lasting, you might want to look elsewhere. So that's it from me this week! I'm thinking of experimenting with a couple of Manic Panic dyes as I'm off to Florida in a week or so and want a nice colour to see me through the holiday! Let me know if you've dipped your toe into the pastel pond wont you? Or if there are any Disney-themed posts you'd like to see perhaps? You look bloody gorgeous as always!! You're seriously rocking that hair, absolutely beautiful! 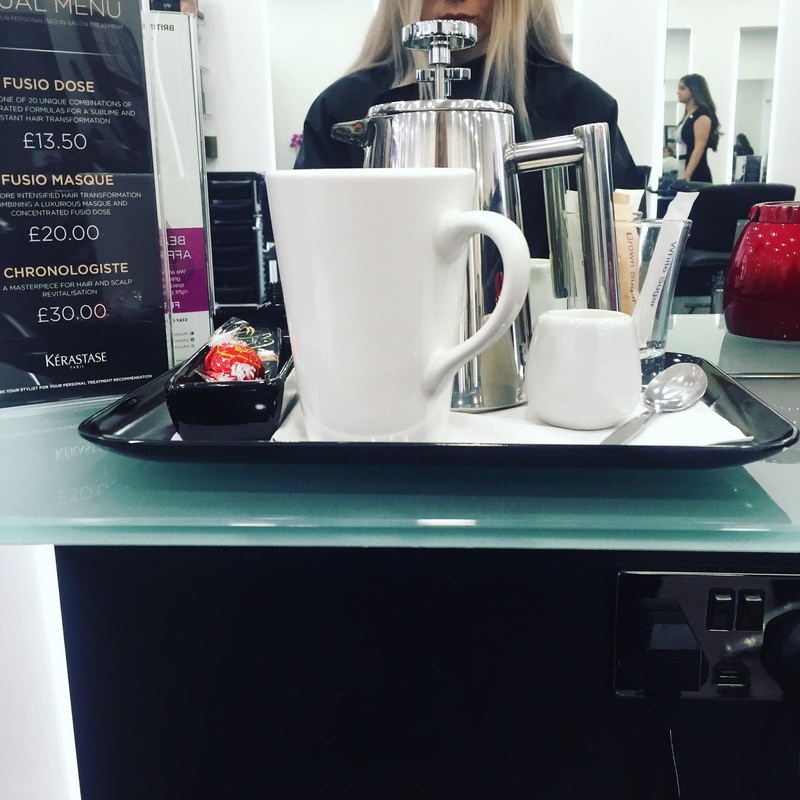 I think I'm more afraid of the hairdressers than doctors haha, but it's always nice to find a place you can trust every single visit. Kérastase make some wonderful products, I especially love their hair masks, definitely worth the splurge! The salon looks lovely! Glad you enjoyed it! I was invited to a rush event but couldn't make it due to work commitments but they look amazing! Your hair looks beaut!! !